Taxify, the leading taxi booking application in Northern and Eastern Europe is launching in Belgrade. Taxify is an Estonian based fast-growing mobile app, which allows to book a licensed taxi at the push of a button. Since late 2013 Taxify has grown to 10 countries around the world and attracted funding from multiple international investors (AdCash, RubyLight, TMT Investment, Pipedrive etc). The new app helps people avoid long waiting times and “pirate” taxis by connecting passengers directly to verified drivers in their area. After confirming your order you can see the taxi moving on the map and you will receive a notification on its arrival. At the end of the trip you can give feedback about the driver to improve the quality of taxis available in the app. For drivers and taxi companies, Taxify is a great way to find new customers at a very low price. 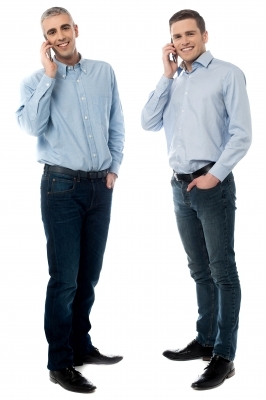 It is not just additional marketing platform, but also fully featured dispatcher software which will bring taxi services to a different and better level. Taxify also aims to help traditional taxi companies and taxi drivers fight the growing threat on their business from independent driver service offered by Uber and the like. Besides Serbia, Taxify currently operates in Finland, Estonia, Latvia, Lithuania, Belarus, Georgia, Mexico, the Netherlands and has recently launched the service in Czech Republic. Taxify was recently nominated for The Best Smartphone App 2015 in the contest organized by Mobile Summit Estonia. Available for Android, iOS and Windows Phone devices, Taxify is free to download from Google Play, AppStore or Windows Phone Store. DISCLAIMER: Dejan Bizinger, CM of Taxify is also part of the SEEMEA team. One of the leading global online food delivery services Foodpanda, according to Serbian startup blog Start-it, acquired leading Serbian online food service delivery company Donesi.com. As stated on their company site, Foodpanda is present in over 35 countries in the world, and also part of the well-known Rocket Internet company from Berlin, Germany. On the other side, Donesi.com is one of the most popular Internet brands in Serbia, founded by Ivana and Vladan Zirojević, offering online food deliver service in the last 8 years and having thousands of happy customers and having cooperation with many restaurants. Donesi.com is also present in ex-Yugoslavian region with sites covering major cities in Bosnia and Herzegovina and Croatia. Foodpanda came to ex-Yugoslavian region in the beginning of 2014 (we also covered it), and as usual invested a lot in promotion, also in TV ads, during FIFA World Cup. 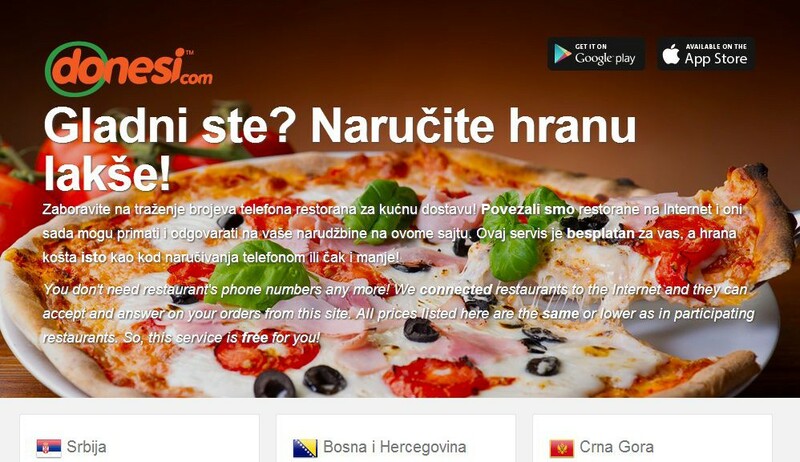 However, it seems they realized, that it would be more useful to acquire company such as Donesi.com as Foodpanda is also present since beginning of 2014. also in Croatia. Online food delivery market showed some very large acquisitions in recent period from different companies as it is very competitive market. 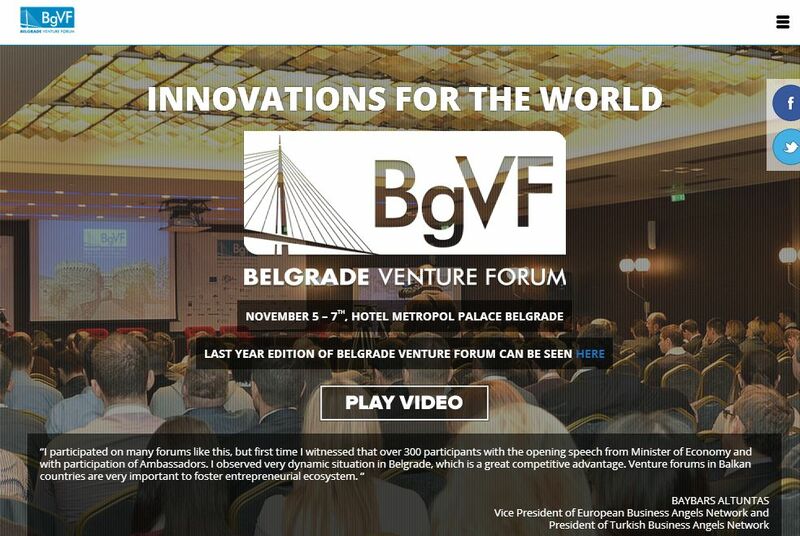 For the 3rd consecutive year, in Belgrade will be held big international venture conference oriented toward new technologies, new media, investors and startups called Belgrade Venture Forum (BgVF). BgVF is the largest investment forum in the region, dedicated to promotion of entrepreneurship and investments in innovative companies and ideas. Many notable speakers and investors will take part in this events, among them are Luigi Amati (CEO at Meta Group), Dmitry Chikhachev (Co-Founder and Managing Partner at Runa Capital), Maxim Gurvits (Partner at Teres Capital), Dylian Dimitrov (Founder at Eleven Startup Accelerator), Jure Mikuz (Managing Director and Partner at RSG Capital) etc. Belgrade Venture Forum announced that among 133 applications, independent investment jury has handpicked 33 best projects from 11 countries and gave them opportunity to pitch their ideas in front of potential investors. We can say that in the period of 5.11-7.11 Belgrade will be center of VC industry in this part of Europe. Event will be held in hotel Metropol Palace. Regular ticket price is 235e and organizers offer discounts if you buy several tickets. Event organizer is Serbian Venture Network. In the meeting recently held in Skopje, Macedonia, representatives of 5 countries: Macedonia, Albania, Turkey, Serbia and Montenegro agreed to start with implementaion of procedures to stop charging users roaming fees in those countries as similar trends are in Europe. In other words, users will pay same prices in other mentioned countries like they pay in their own country. Ministries of 5 countries will sign agreement on making equal prices of local and roaming talks in Infofest conference, which will be held in Miločer, Montenegro, on 29th September. We have the pleasure of reporting during one of the most attractive conferences on business internet usage taking place in Zrenjanin, Serbia, just now. This is the second time that this conference is being held, after the incredible success and interest peak of last year. 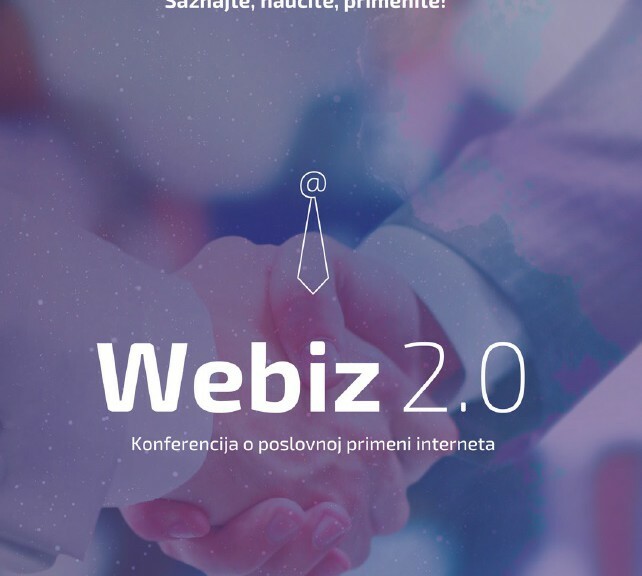 Webiz 2.0 has managed to once again to offer a collection of valuable lectures, gathering the foremost IT experts in the region. Interest was even higher this year, as the conference hall was packed to the ceiling on the first day. Even so, the organization was outstanding, and the participants did not have to think about anything other than keeping their attention on the speakers – and that was hardly the problem. Apart from the popular names in HR (Dušan Vukanović), IT law (Žarko Ptiček) and others, keynote presentation was taken by Google (Maja Magdelinić). The first day was wrapped up by a presentation from one other eminent IT expert Dejan Petrović, from a renowned Australian company Dejan SEO. You can join us at Webiz 2.0 via LiveStream enabled by LiveTV, and you can also follow the comments on Twitter using hashtag #webiz. The conference is being held in Serbian language.